Even putter shafts can wear down over time. People often like to change the shaft in their golf club, whether it's because the current one broke or because they want to try out the newest one on the market without purchasing a new club. To help save money, this is a task anyone can do with the right tools. Secure the shaft in the vise. Tape the head of the golf club to prevent it from being scratched. Use the utility knife to cut off the ferrule, which is the small plastic piece by the hosel. A little heat may be necessary if the ferrule is difficult to take off. If so, put the butane torch near it. Apply heat to the hosel area with the propane or butane torch. Apply some pressure to the head while heating and continue doing so until the epoxy bond is softened. The head of the club should then come off easily. Once the head comes off, clean out the hosel area with the small drill bit, then pour a little acetone in the area to thoroughly clean it. See if the shaft tip needs to be trimmed, according to the manufacturer. If so, follow the instructions for this. Apply epoxy all around the inside of the hosel. Then, apply epoxy all around the bottom of the shaft, as well. 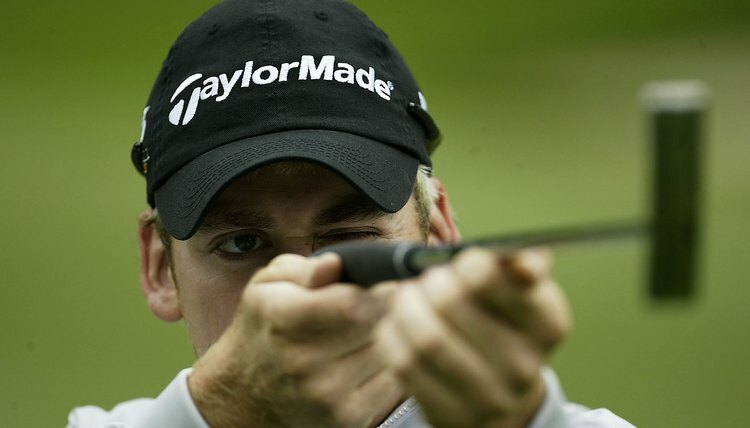 Gently, push the shaft into the hosel and twist it a bit to make sure the shaft is all the way down in the hosel. Use acetone to clean off any excess epoxy on the shaft or hosel. Wait roughly 12 hours. Once the epoxy is dry, cut the shaft to the desired length and apply the grip. Wait another 12 to 16 hours, and the club should be ready for use.